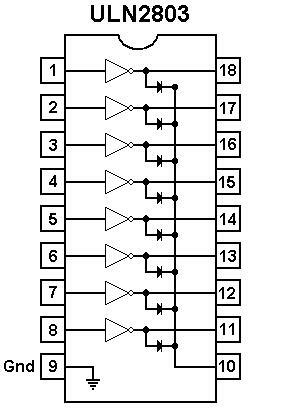 ULN 20803 is a darlington array transistor with 8 channel(s) suitable to control devices up to 500mA , 50v, the specification can be downloaded from here http://www.adafruit.com/datasheets/ULN2803A.pdf. 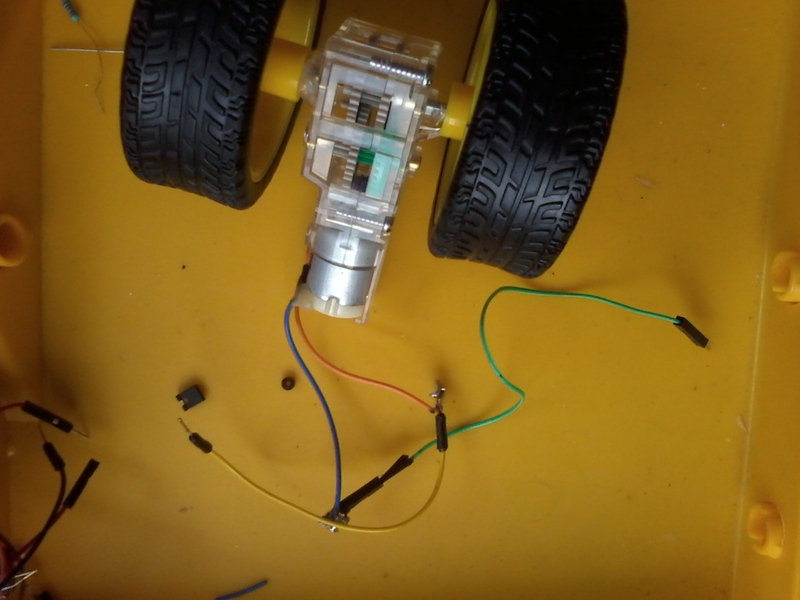 Here in this example we will use uln2803 to control a motor dc that uses single gearbox, since uln2803 isn’t a h-bridge so we will only able to control it with single direction ( for h-bridge, we may use tlc5940 ). 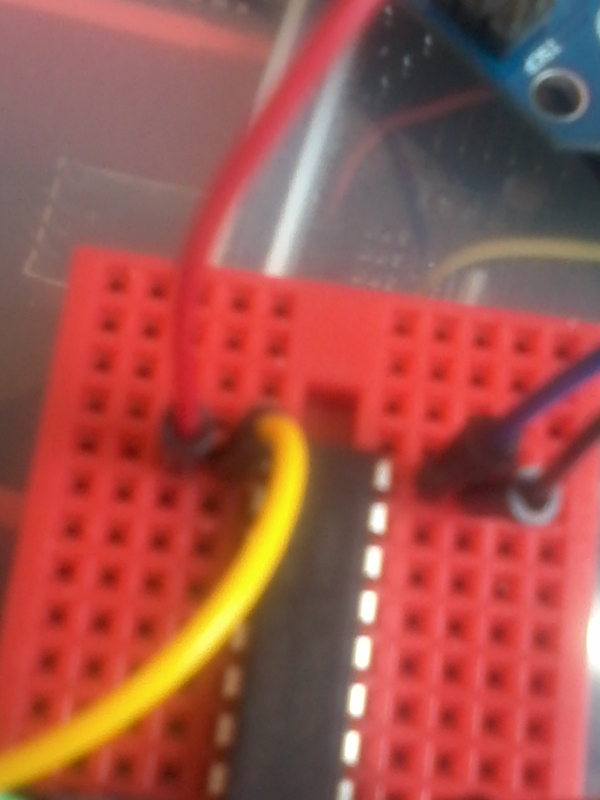 In this example, we will be using pin 1 as pwm pulse receiver from arduino pin 7 output. 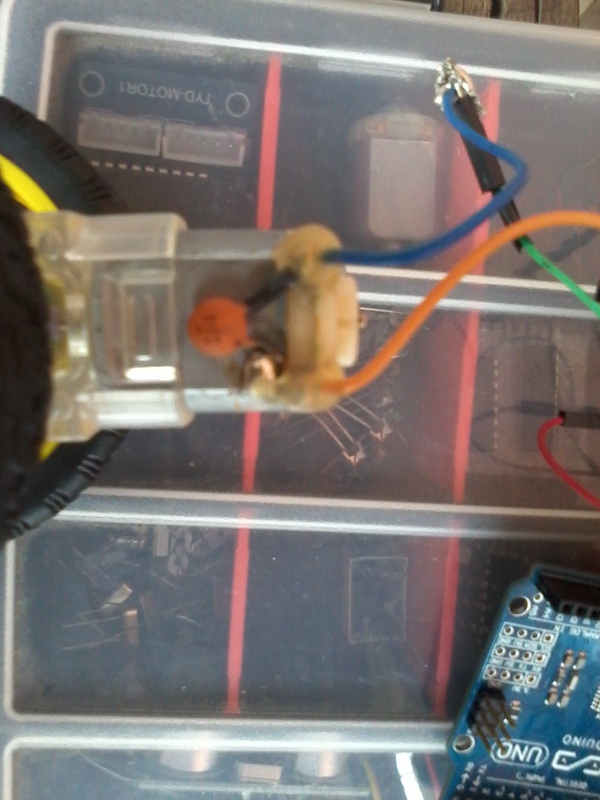 and pin 9 will be for ground connect to arduino’s ground. How to locate where’s pin 1 and another ? We can see on uln2803 that it has a “U” sign. The “U” sign determines that pin 1 is located on the left of that “U” sign. As if this is a small vehicle, but it has no steering capabilities. 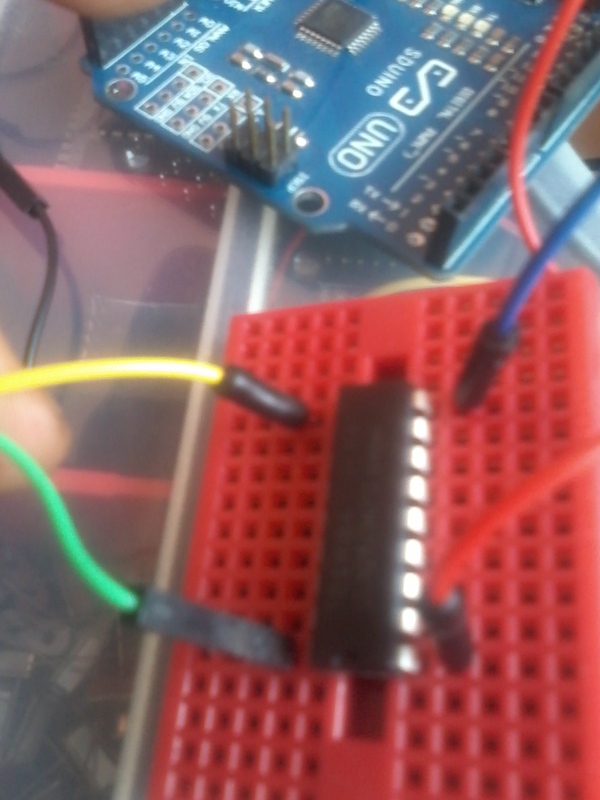 connect pin 1 on uln2803 with pin 7 on arduino and connect ground pin (9) on uln2803 to ground pin on arduino. 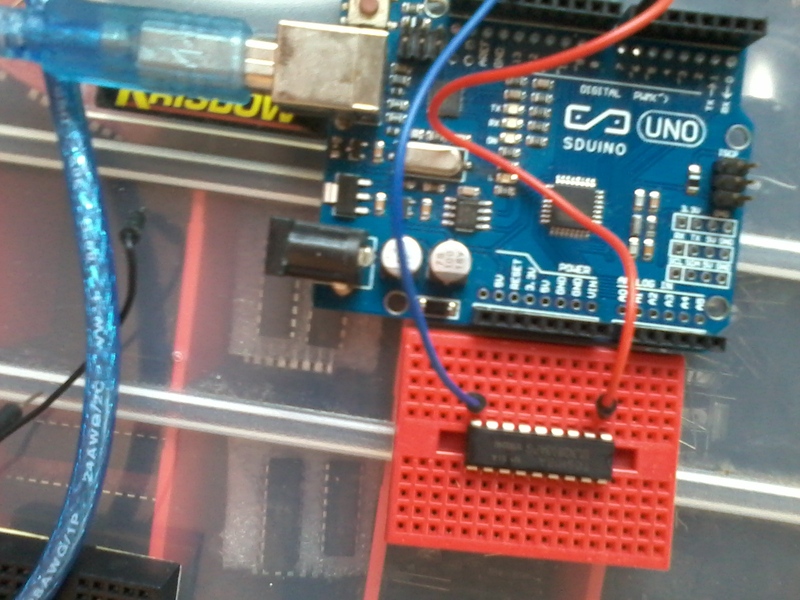 This entry was posted in Arduino, Breadboard, Darlington Array Transistor, Fritzing, Motor DC, ULN2803 on November 18, 2014 by sw0rdm4n.